The general term for wood used in a fire. 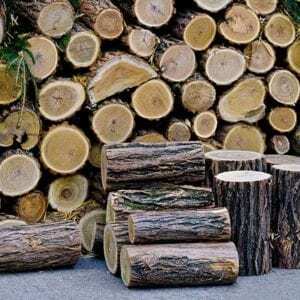 Firewood can be said to be any wood cut for use in a fire, whether it is wood from an old log or bed frame accurately split and arranged for burning. There’s nothing quite so magical as the smell and feel of a warm roaring fire in atmospheric surroundings. This is why we’re so passionate about what we do and about offering the best products at the best prices. From open fires to ovens or burners, there’s nothing we don’t know about creating the perfect safe and reassuring burn with the help of the very best sustainable kiln-dried firewood logs produced from British hardwood. 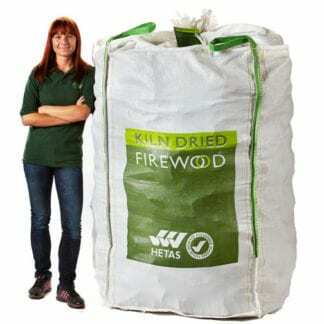 Every bag from your firewood suppliers carries a mixture of high energy oak, ash and beech firewood logs delivered with love, sustainably sourced in Britain from a natural thinning process. 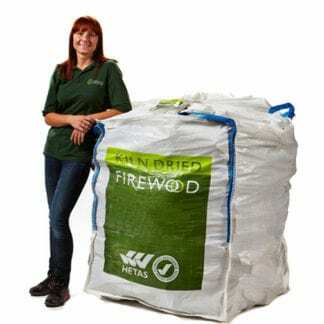 In truth, kiln-dried firewood doesn’t get any better than this, and we can dispatch our firewood logs efficiently with free delivery to any UK address. All this also helps to support UK trade and produce so everyone benefits, including both the environment and our woodland with the risk of disease significantly reduced. Using homegrown wood also prevents a bigger carbon footprint emerging. Natural firelighters and kindling are also a vital part of the process, which is why we make available some excellent accessory products, completely home produced to aid your fire burning skills all year round. We use the kindling process to facilitate an initial ‘easy to light and burn’ core of a fire. Once this has been established the kindling will help your logs to ignite. What’s Best for Cooking and Heating? It’s a fact that oak and beech provide a long-lasting burn for heating, whereas ash can generally produce short bursts of heat. 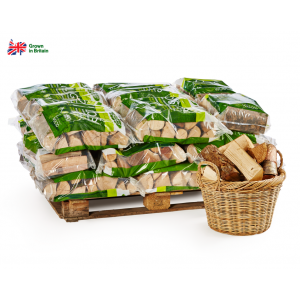 Kiln-dried logs are ideal for cooking purposes as there’s much less moisture in the wood. In short, the material we provide is superb for both purposes. And the dryer the better. 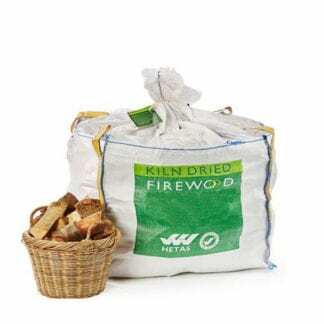 You may be surprised to learn that kiln drying firewood is a relatively new process, invented by Anthony Cutara, who filed a successful US patent in 1983. Four years later the Department of Agriculture in America replicated the method, publishing a detailed procedure for the production of kiln-dried firewood. They also cited the higher heat output and increased combustion efficiency as key benefits of the process. Demand for this type of fuel can outrun its ability to regenerate, which is why good forestry practices and well-designed vessels for using it can improve local wood supplies. By using British sustained wood, we ensure a perfect balance is created. 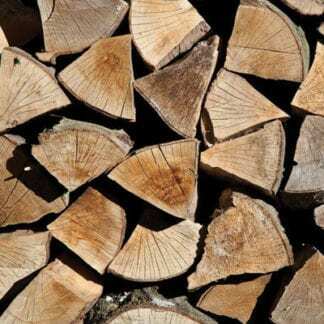 There are several methods of storing firewood, ranging from free-standing stacks to specialised structures, both of which we can provide. The aim of storing wood is to keep water away from it and to continue the drying process in safe surroundings. The term we use for burning wood or other organic matter to produce energy is ‘biomass’. This refers generally to plants or plant-based materials not used for food or feed. Biomass can be used via combustion to produce heat after converting it into various forms of biofuel. The type of wood you use for burning can offer various quality, heating and burning characteristics. Our combination of oak, ash and beech is perfect for producing an effective and powerful clean burn. In fact, all three of these denser harder woods are in the top table of firewood properties. One basket of kiln-dried logs can last as long as two baskets of seasoned logs. Our supplier has signed up to the UK Government Timber Procurement Policy. This promotes active management, helping to build a more sustainable future for British woodlands in the 21st century and beyond. 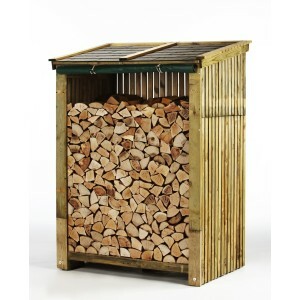 If it’s firewood and logs you seek, FirewoodFund.co.uk is the place to come for the best in kiln-dried logs. Remember, our sustainably sourced logs have been kiln dried to reduce moisture. This offers a greater output of heat, meaning you need to use less logs. 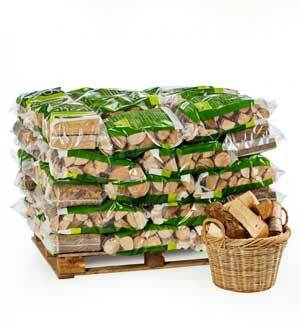 We also keep firewood prices low with a 0.8m3 bulk bag of kiln-dried hardwood logs. 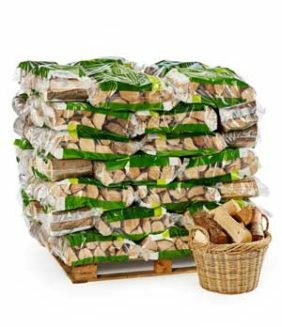 This really does present great value, and you can choose the perfect time for your firewood delivery. So why not plan ahead and stock up on the finest kiln-dried logs money can buy, from a company who cares? “This is the first time I have used Firewood Fund. Very happy with the quality of the kiln-dried logs which burn very clean and hot in my stove”.